Olman Torres stood triumphant with his palm flat against a bright green wall of solid concrete that stands a couple of feet taller than him in Yorkin, Costa Rica. The wall, one side of a new water tank, stores 20,000 liters of clean and reliable drinking water, enough to support Olman’s community of more than 200 people. The tank and the three-mile aqueduct that supplies it with water was the culmination of nearly four years of work and $30,000, which was raised by the Rustic Pathways Foundation. Yorkin is a Bribri community, one of eight remaining indigenous peoples in Costa Rica. The village is remote, only accessible by a muddy trek and an hour-long boat right into the rainforest. 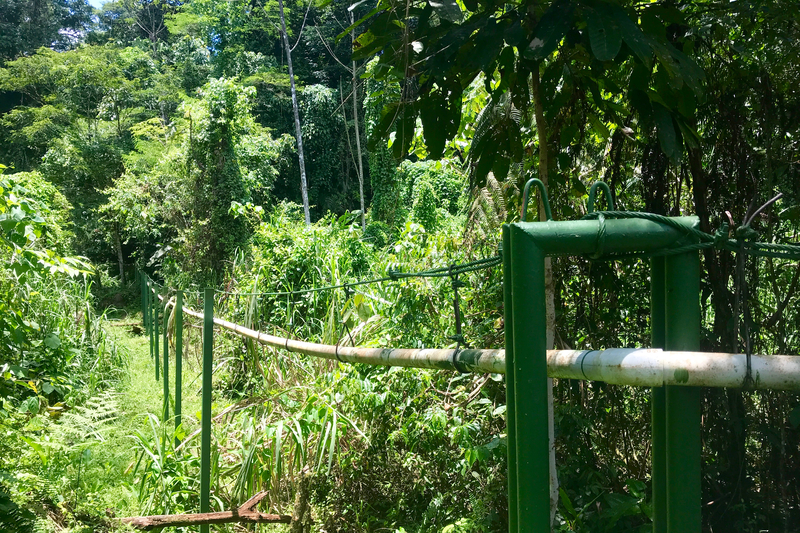 The completed Rustic Pathways Foundation aqueduct pipeline in Yorkin, Costa Rica. Construction of the new storage tank and pipelines was completed in June. 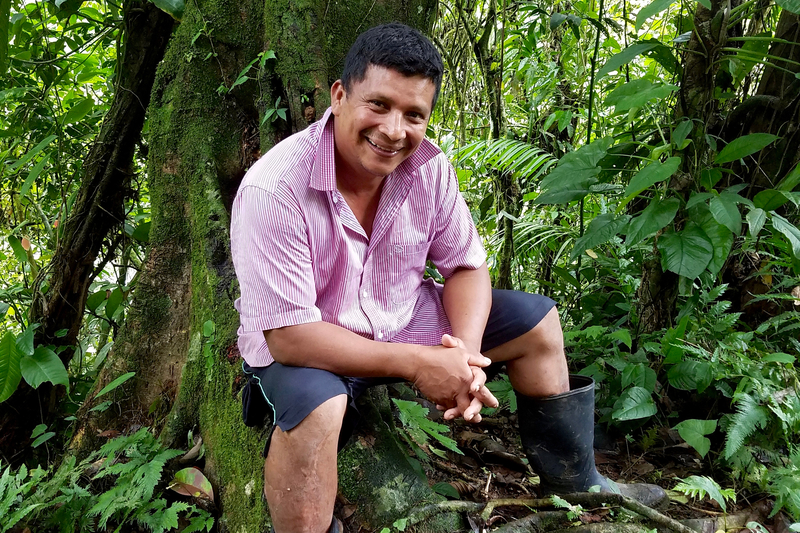 From its inception, the fundraising, labor, and ultimately, the successful completion of the project, is the result of a community of people that spans borders. Olman pointed out the old water tank from where he stood next to the new tank. The 10,000-liter barrel was crushed, lying sideways down the hill. He said it would overflow and water the community needed was lost before it got to residents. The community installed the old aqueduct and storage tank 20 years ago. Olman said at that time, it met the needs of the community. But since then, the community has grown. He said it needed a bigger system that could store enough water to supply the community and one that wouldn’t fail. Rustic Pathways Program Manager Pamela Quesada works closely with the Yorkin community overseeing Bribri Indigenous Culture and Service. Students have visited Yorkin as part of the program for more than a decade. Rustic and the community decided to partner on the project in 2015. However, after the initial proposal, Pamela said it was clear that students wouldn’t be able to contribute to the project by participating in community service during the program. The hike to the aqueduct is steep and muddy. Instead of contributing labor, students would play another integral part in the process by fundraising for its construction. Many students who visited Costa Rica during programs supported the project by buying MyIntent bracelets. Full-time staff made the bracelets, which were engraved with the Costa Rican philosophy “Pura Vida.” The bracelets were created by the Foundation to support local projects and 100 percent of the proceeds from bracelet sales in Costa Rica went directly to the aqueduct project. Other students called Impact Ambassadors fundraised for the project with their own initiatives. Students created donation pages on the Foundation’s website and solicited contributions from their networks. One student, Daniel Chan, raised more than $17,000. Olman was recruited as the project foreman. Every day, two adults from the community volunteered to either carry heavy materials and tools to the construction site. In addition to constructing the storage tank, Olman’s crew installed new pipelines that would allow the aqueduct to serve homes located at elevation that got little to no water in the past. Pamela said water pressure throughout Yorkin is now uniform. Pamela Quesada meets with members of the Yorkin community about its aqueduct project. Throughout the construction process, Pamela acted as the key communicator between Yorkin and the Rustic Pathways Foundation. She held meetings with a governing faction of Yorkin called the Yorkin Water Committee, and with representatives from the Foundation. Acting as translator, planner, and supervisor, Pamela was integral in making sure the project was completed successfully. “I feel super proud about this project,” Pamela says. After the storage tank and aqueduct were completed this summer, Olman couldn’t wait to show it off. I visited with a small group shortly after it was finished. Olman was proud to describe the different parts of the tank. He asked us to climb to the top to get a look inside, noting that the metal door was heavy enough to prevent children from opening it and potentially falling in. We could hear the water rushing into the tank from the pipes and both Olman and Pamela beamed talking about how much water was already stored—and excited by the possibility to store more. Click below to become an Impact Ambassador and support Rustic Pathways Foundation projects like the aqueduct in Yorkin. Danielle Palmer-Friedman is a part-time writer and full-time reader based in Seattle. Originally from sunny southwest Florida, Danielle studied English literature at the University of Washington where she discovered her love of storytelling at the student-run newspaper, The Daily. 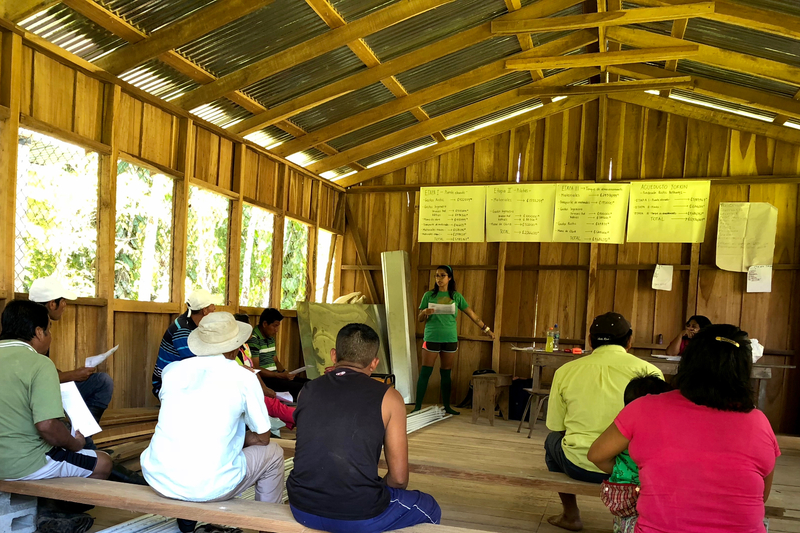 Her interest in learning the stories of her global neighbors brought her to Rustic Pathways Costa Rica, where she spent three wonderful months improving her Spanish and eating patacones with an almost-all Tico team. Currently, Danielle is working on bringing what she learned this summer back to her home community.